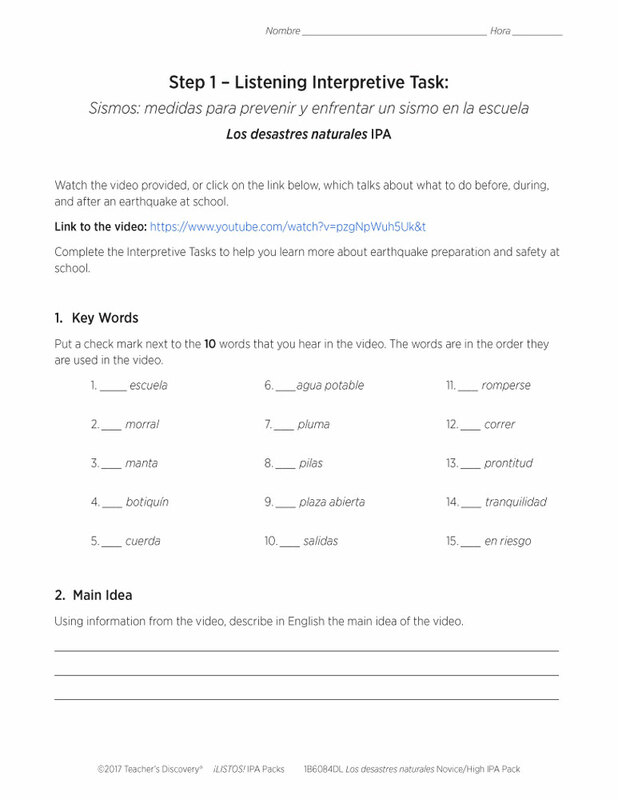 This ¡LISTOS! 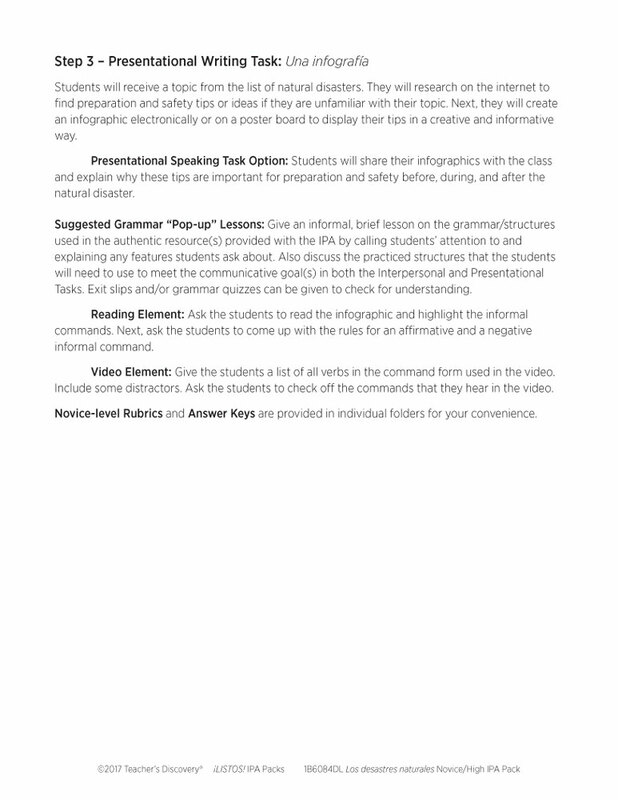 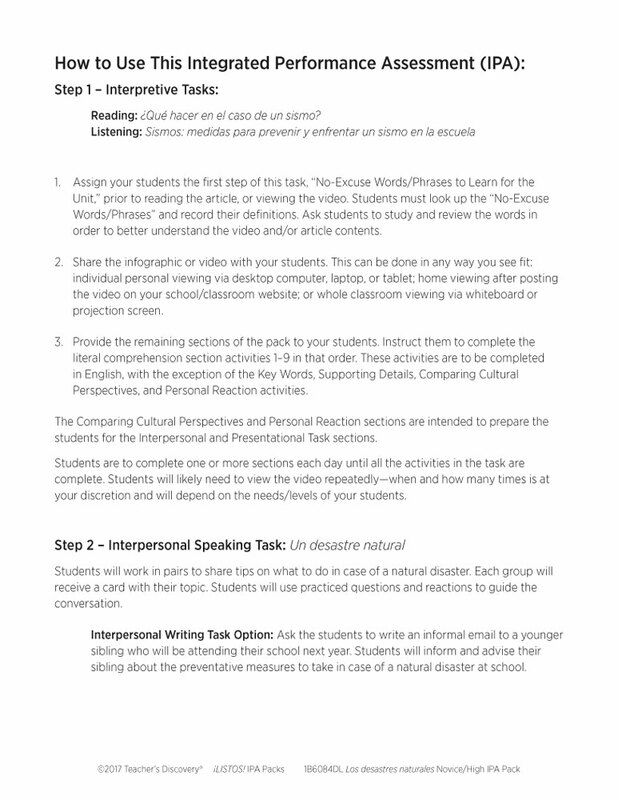 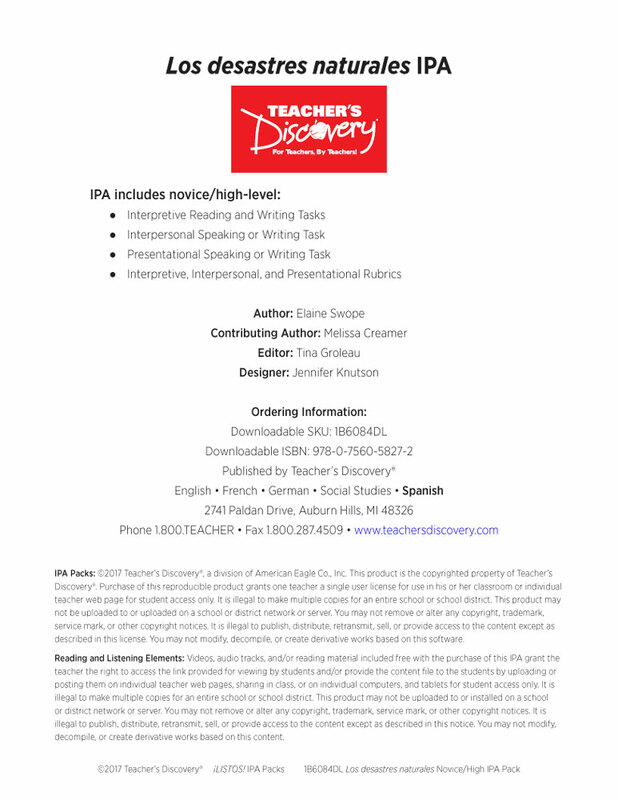 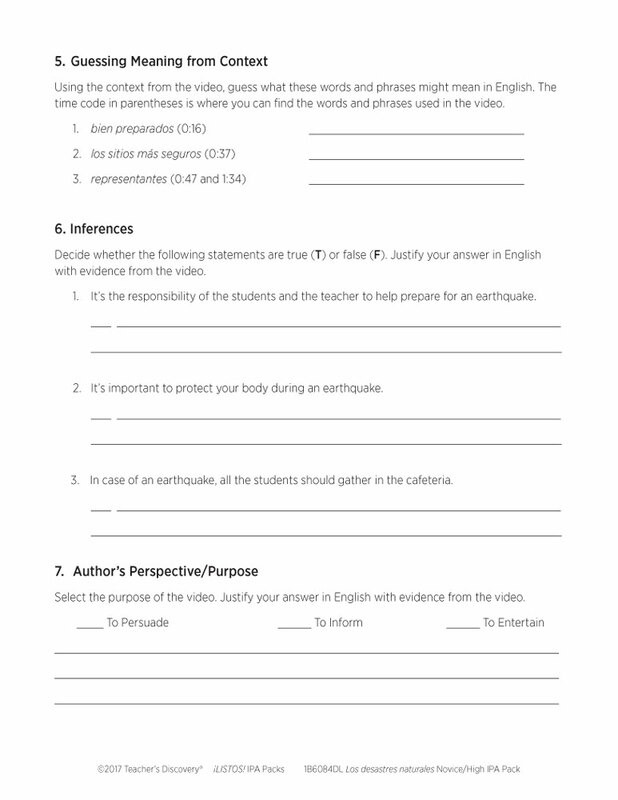 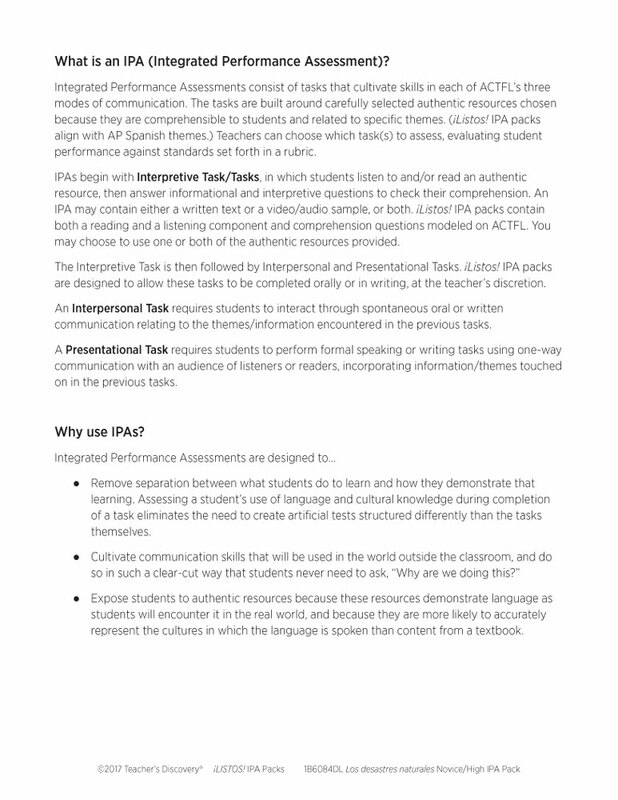 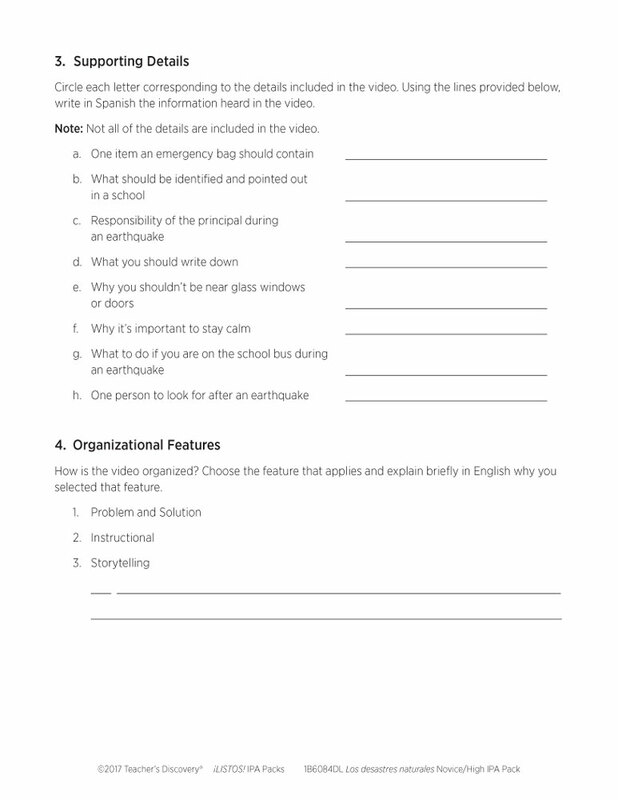 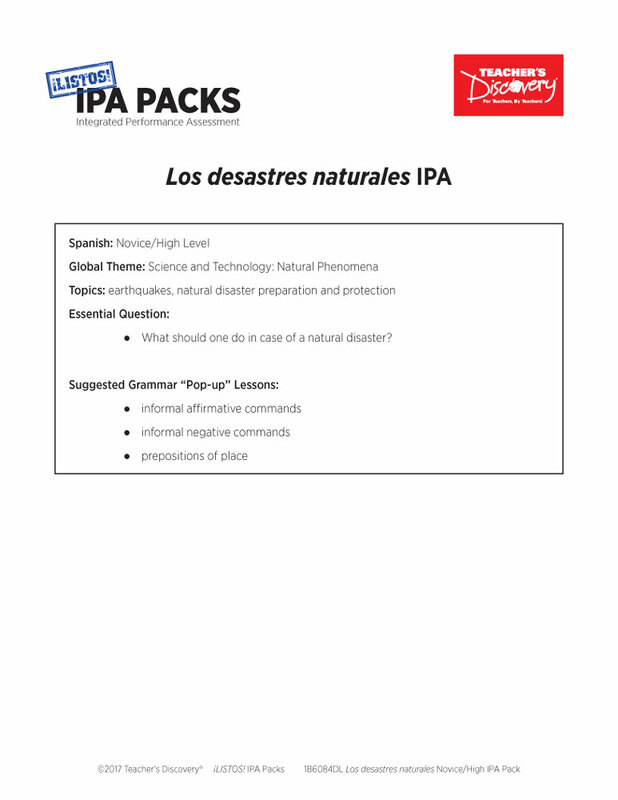 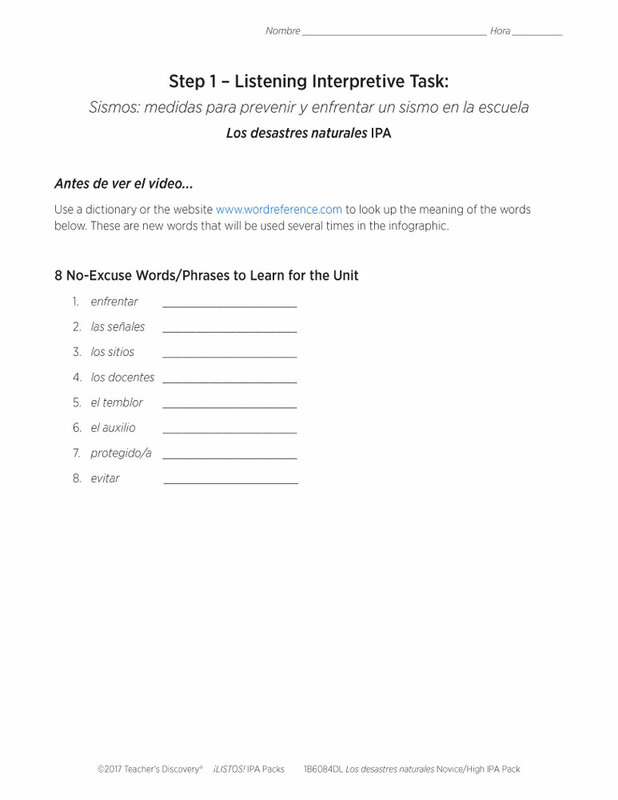 IPA Pack Download is based on two authentic resources: an infographic and a two-minute video which talks about what to do before, during, and after an earthquake at school entirely in Spanish. 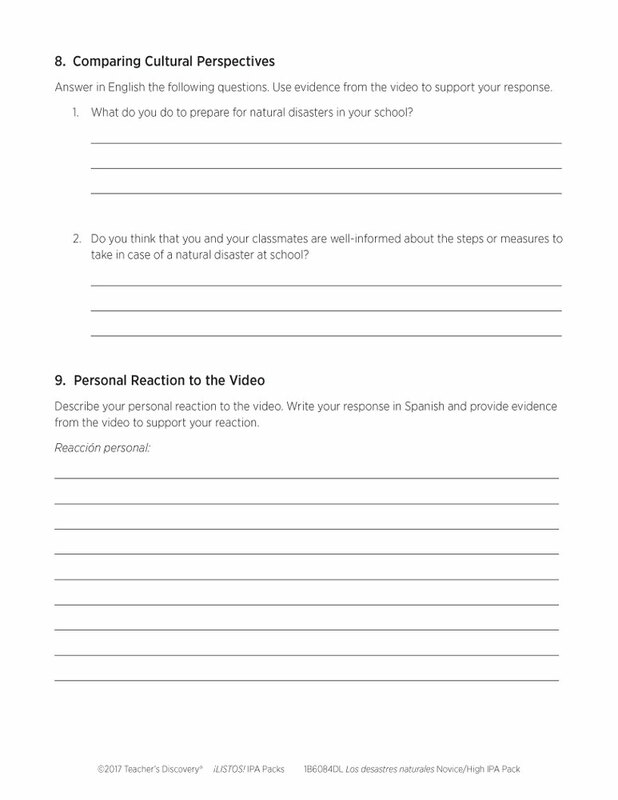 What should one do in case of a natural disaster?